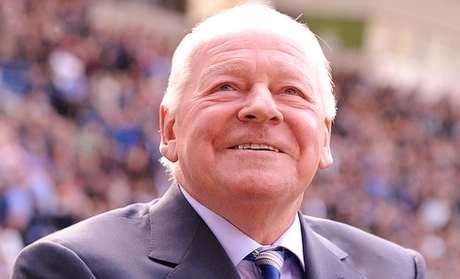 Criticised: Dave Whelan wants football fans to remember Mrs Thatcher. 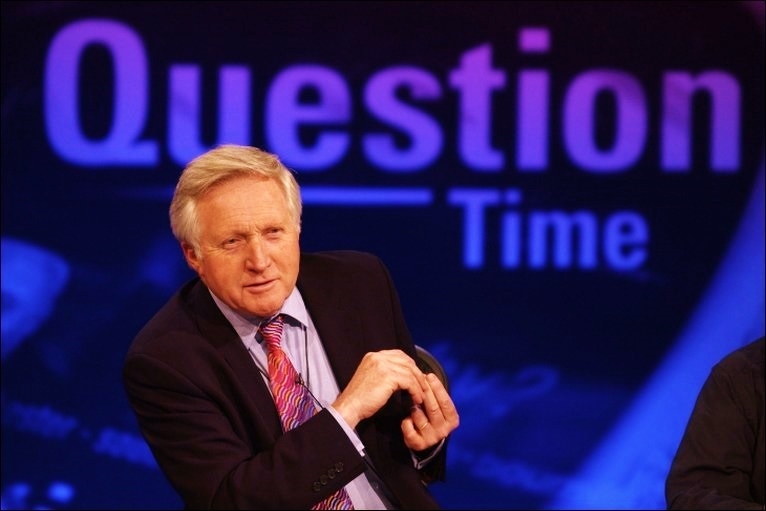 I was most amused by the response from an elderly Wigan lady on tonight’s news when asked “if she had a moment to remember Margaret Thatcher?” The response was traditional northern “NO” followed by “Not a chance”. The question was being asked to residents after Wigan Football Club Chairman, Dave Whelan, suggested a minute’s silence be held in Baroness Thatcher’s memory. As I mentioned in my last post, she was a very divisive figure, creating a North/South divide. Her policies allowed the richer people in society become richer, mainly in the South and the working class people suffered as mines closed and industry was privatised in the North of England. So it was most bizarre to hear the chairman of a North West football club ask for a moment to remember the former Prime Minister who had hurt so many during her three terms. Mr Whelan suggested the nation should pay their own thanks to the service of former Prime Ministers, however the Football Association has said no silences will take place at FA and Premier League games this weekend to remember Thatcher. It is easy to see why. After closing the coal mining industry of the North of England, forcing thousands out of jobs, and subsequently causing riots, it is clear what the reaction will be from the football fans. Booing, chanting and hysteria will surround the games and, judging by responses on Twitter and tonight’s news, many football fans do not wish to pay a minute’s silence to remember someone who had such negative impact on Northern lives. Margaret Aspinall, Chairwoman of the Hillsborough Family Support Group, said that it would be a “huge mistake” for games to pay tribute to the late PM. She went onto state that many questions still remained unanswered following the Hillsborough disaster, in which the then government played a huge part in covering up the truth of how 96 Liverpool fans were killed at an FA Cup Semi Final. Last years Independent Panel Report highlighted how the police created false stories to blame the Liverpool fans for the death of their own crowd. The government at the time was led by Margaret Thatcher. Although current Prime Minister, David Cameron, did apologise on behalf of previous governments, there was never an apology from Thatcher. A reason which has highly contributed to the belief that Liverpool never loved, liked or admired Lady Thatcher. Cover Up: Thatcher in the days after the Hillsborough Disaster. Lord Sebastian Coe stated that “Thatcher never really understood sport” which supports the fans argument that there should not be a silence in memory of her. At one point, she campaigned for identity cards to be issued to all football fans. Whilst I agree that marking the death of a woman who did not support the game, someone who was involved in a huge football disaster cover up and a woman who virtually destroyed the lives of many Northern industry families is somewhat inappropriate, I do disagree with the open celebration many people have had in the days following her death. Groups consisting of hundreds of people, many of them who weren’t even born when Thatcher was at No.10, have held banners, cheered and appeared openly joyous about this womans passing. Regardless of her job, Mrs Thatcher was still a mother, daughter, grand-mother and family woman. Former Labour PM Tony Blair said they were in “bad taste”. It would be a mistake to encourage football games to mark the death of Mrs Thatcher, as it would quite clearly not be adhered to. The only silence which will take place this weekend will be between Liverpool and Reading, marking the 24th anniversary of the Hillsborough Disaster. This at such a prominent time in the road to justice. 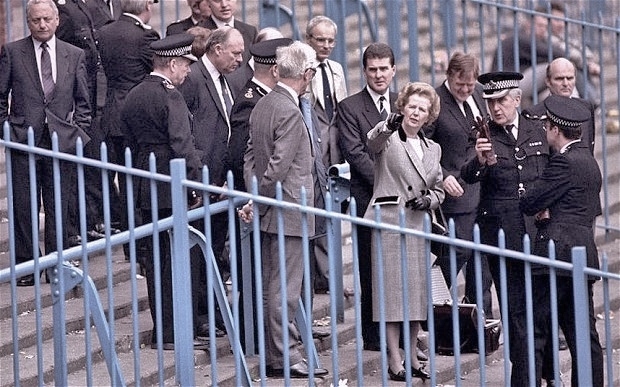 All involved with Liverpool Football Club and those on Merseyside have reiterated that their silence will have no connection to remembering Mrs Thatcher, only remembering the 96 fans who died at the Sheffield Wednesday stadium. Quite right. The Iron Lady. A woman who did not turn. Tributes have been paid to Lady Thatcher after the announcement of her death, aged 87. She had suffered a stroke. 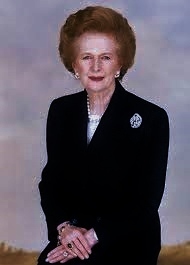 A divisive individual, she brought about anger in the North of England with the closure of mines. The privitasion of many sectors, including the railway industry proved to be a legacy (good or bad) which is still felt today. Her leadership during the Falklands War is something which is significant when considering her impact. Thatcher was an individual who did not take hurt or offence from the newspaper headlines and her strong-minded approach is something which could have brought about parts of her downfall. An uncompromising approach to the economy and straight view of privatising industry are some of the factors have caused intense debate. In recent years, suffering from illness, Margaret Thatcher was rarely seen in public. The last time she was seen was in Downing Street during the leadership of Gordon Brown. She was pushed out of office by her colleagues in 1991 – the longest-serving and the first and currently only female British Prime Minister. Her policies and personality divided opinion. As today’s commentators have insisted, there may have been disagreement over her policies, but there is respect for a politician who has had such an impact. 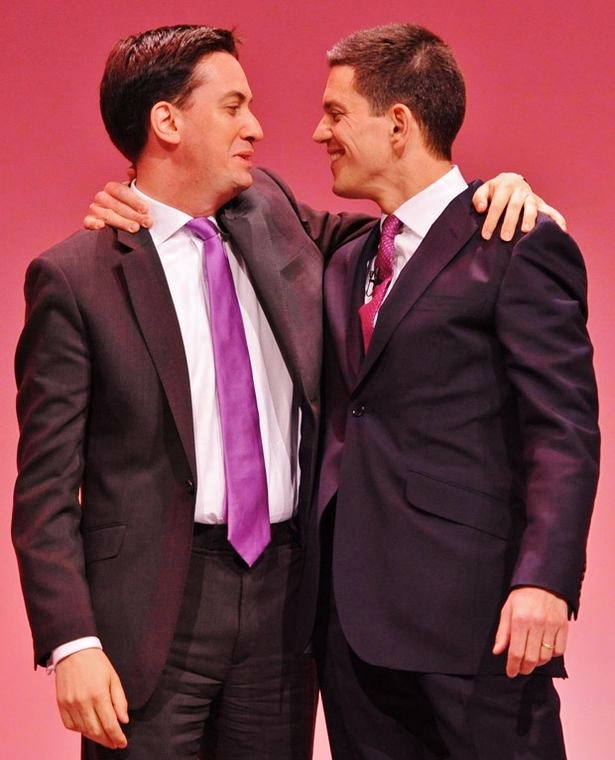 The Evidence: The Daily Mirror image which shows the Chancellor’s embarrassment. Could George Osborne be one of the most embarrassing Chancellors to have served the UK? Well it is quite possible. 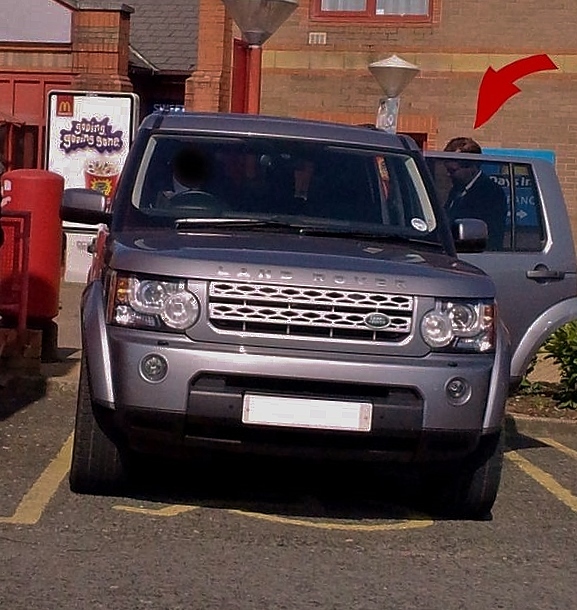 After fiascos including the ‘train snobbery’ and the booing by 80,000 sports fans during last years Paralympic games, today it can be revealed that Mr Osborne’s privatley driven car was seen parked in a disabled car space. Flouting the rules. The pictures were taken on the M4 Motorway were the Chancellor was seen entering a service station for a McDonald’s meal. Onlookers have described how the car park was not full and the £50,000 taxpayer owned Range Rover was in no hurry to move. 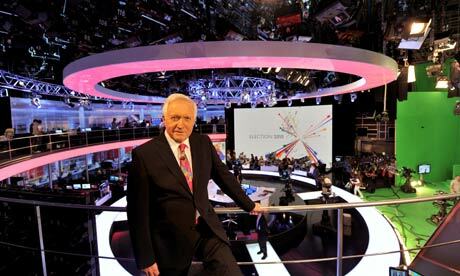 Charities have criticised Mr Osborne for the incident. In the defence of Chancellor, a Tory spokesperson has insisted that he went into the service station unknowingly that the car was to park in the disabled space and that it would stay there. It remains unknown if the senior Tory cabinet minister condemned the driver of the Range Rover. It’s not the first time Mr Osborne has been publicly ridiculed. Last year, he was forced to cough up £160 after sitting in a first class seat on a train with a second class ticket. After initially refusing, the story unfolded thanks to ITV Reporter Rachel Townsend who was on the same train. At the Paralympics he was booed by an 80,000 strong crowd at the London 2012 stadium, after huge cuts and little sign of an economic recovery. In further bad news for Chancellor Osborne, workers inside the service station have told news agencies that they did not recognise the Minister – instead they thought it was his Labour Party shadow, Ed Balls. So another embarrassment for the Chancellor and for the government. What will be next? It’s like waiting for a car space.